The era when associations could count on members joining and renewing, even with a relatively unchanging menu of membership benefits, has passed. No, membership is not dead, argues author Sarah Sladek. But associations do need to change their thinking and their models. 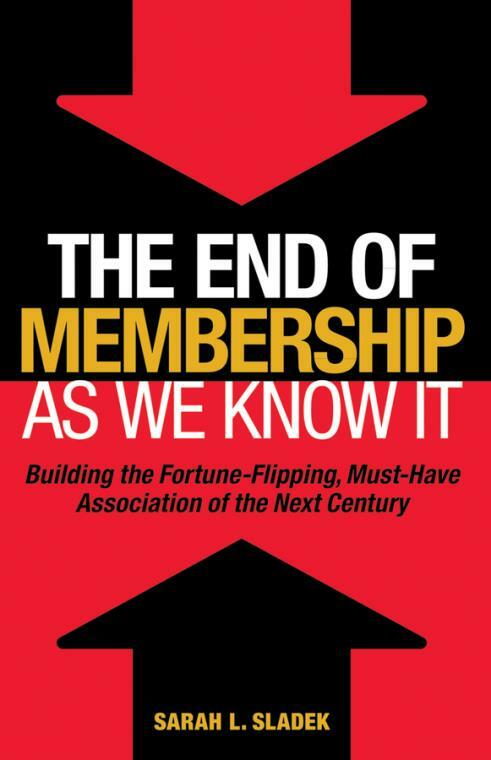 In The End of Membership As We Know It: Building the Fortune-Flipping, Must-Have Association of the Next Century, Sladek offers practical, proven ways that associations can respond to changes affecting participation such as the generational shifts in the workforce, social changes, and technology-eased access to content and community.